in a hotel/conference center somewhere vaguely Himalayan. Faces are pulled (ugh) and wigs and wild patterns are worn (yay!). 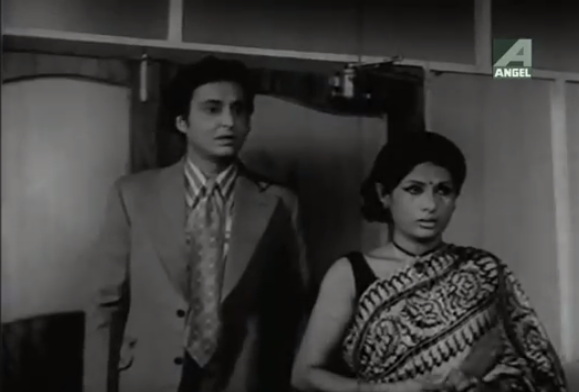 It might be as funny as Hrishikesh Mukherjee if one knows what's being said; even though I don't, this has no sign of being nearly as fun as the lead pair is in Baksha Badal (written by Ray). I've never seen this title in lists of sports movies, despite it having won a national award for "wholesome entertainment." The story has personal focus: it's more about a coach being ousted from his club and a poor girl triumphing through talent despite people trying to rip her down than about Bengal winning. I care deeply about everyone in Chak De India, which is also about outsiders coming together, but Kony is sullen and predictable. However, I appreciate a sports film 30 years ago focusing on a young woman who wears her swimsuit like an athlete instead of a pageant contestant. Aside: it's so hard to take this category seriously given that Darr, Dabangg, and Devdas have won it. Has anyone written a good rant about this? To its credit, the film is not afraid to center on an unlikable and mostly unsympathetic woman who makes poor decisions in her personal life while maintaining competence and control in her work. 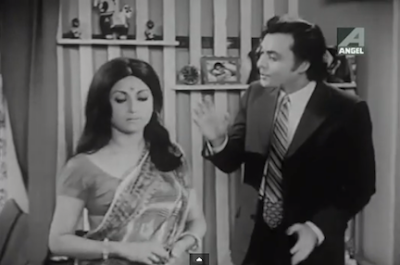 The daughter-father (Soumitra again, endearing in his concern for the women in his life) relationship is also very welcome and, while imperfect, resonant. But overall, it's too long-suffering for my taste. 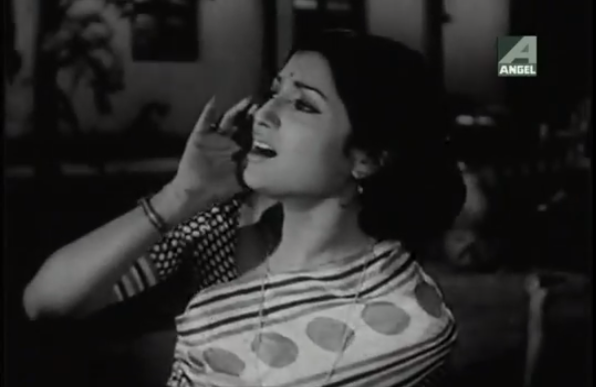 Like this picture hints: not only is there ridiculous drama, it's all overseen and punctuated by Rabindranath Tagore, in case you did not already get that this was a vaguely arty Bengali film. The eyes of RaTag are upon thee! Speaking of lists, Titli, with its touches of Ray's Nayak, should come up more often when we discuss movies about film industries. While that's not its principal concern (mother-daughter relationships are), it makes plenty of observations. In some ways, the three leads play versions of themselves, yet I catch no lazy writing that depends on, say, Aparna and Konkona being actual mother and daughter. It's so sweet, with people who actually talk to each other and its wistfulness cocooned in the mists of forests around Darjeeling. 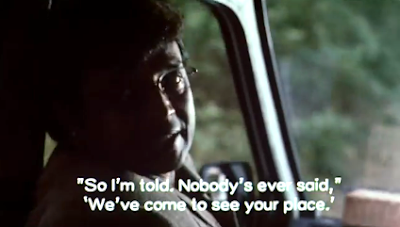 One of my favorite moments: when Aparna says to Mithun something like "The magazines say crowds come to the city just to catch a glimpse of your house," he responds with this. Heehee. AVOID, YAAR. What an awful movie. 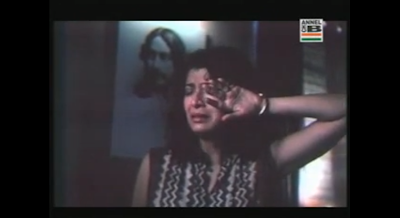 It's Baghban times five, the number of older couples who whine about mistreatment by youth of today. Feluda & Feluda. Which would be a much better movie than this one. It's the only film I've ever seen whose emotional reunion in the waves at the finale is...a father and son. It's an ensemble cast full of people I've liked in other things, but they don't all seem to be in the same movie here—maybe the director just couldn't wrangle them all into coherence. But let me be clear: no one could do anything good with this script, and I can't understand why anyone even tried. No she doesn't, and OKAY WE GET IT, YOU HAVE SEEN AT LEAST ONE RAY FILM. Good for you. Saw it when it released, I was about 9-10 years old then (yes, I am a little old) and I remembered it for days to come, especially as it had a female protagonist. The situations felt pretty real - the money problem, the politics, the relationships between the girls...as far as I remember now :). I looked up the poster in Wiki, and I also recalled how that particular pose of Soumitra was so inspiring, he looked a lot like my father, who is a teacher himself and would try to hide his disappointment when I refused to go that extra mile. Incidentally, the writer Moti Nandy specializes in sport-based drama for young readers, and I always read his work in yearly Bengali magazines. About Chhutir fande, saw it quite recently, about 5 years back: the story is around how Soumitra wants to go on a honeymoon after his marriage, but lies to his boss for taking off from work (probably about illness or demise of a dear one) and then coincidentally, the boss lands up at the same place/hotel where he is holed up with his wife. And hence the hilarity ensues. Aparna - That would make us exactly the same age. :) I like that Kony is so un-flashy - that all the arenas, literal and figurative, are so small and/or local. Most of us never have a grandstand moment in real life, even in our most observed moments. I also liked that the coach/swimmer relationship never got too parent/child - there are touches of it but it's much more about teaching. 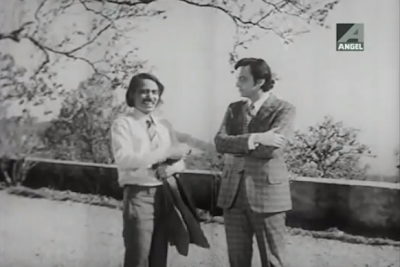 Re: Chhutir Fande: Did you find the film funny? While I know Utpal Dutt can do that kind of thing in his sleep, I'm generally not impressed with Aparna Sen as an actor and I haven't seen Soumitra in much comedy, though he's super in Baksha Badal)…. Comedy is so hard: even if the writing is funny, the actors can destroy that quality so easily, and vice versa…. Good Effort. There aren't many out there to write about movies from this section of indian movie industry. Congratulation for making an effort. Honestly, now that you ask me about it,no, I did not find Chhutir Phande that funny, and I sort of kept comparing it to Chodmobeshi (the Bong equivalent of Chupke Chupke) in my subconscious mind because it seemed similar in the way the lies and deceit and fun is built up. 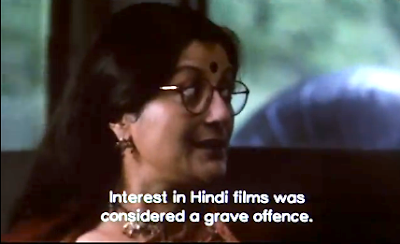 I do like Aparna Sen though but other than her turn in the Ray film 'Shatapdi' (As part of teen kanya) and "Unishe April", I have seen her more in glamorous roles. I like her comic timing, mainly the ability to not take herself seriously. You're right about Aparna Sen being willing to be silly, which is often a key ingredient for effective comic acting.